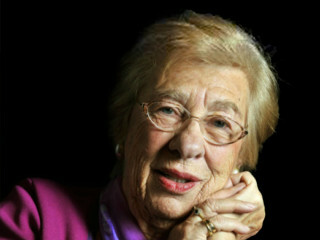 Holocaust survivor, author and humanitarian Eva Schloss will be in Houston during the Shul of Bellaire's 6th year anniversary celebration to share her personal story of struggle in which she escaped her homeland, hid for two years before being captured, and endured life in the Auschwitz-Birkenau death camp. While in Houston, Schloss will provide a firsthand account of the life of Anne Frank, her childhood friend and step-sister, along with an interview on-stage at The Wortham Center inside of the Lillie and Roy Cullen Theater. The historic evening will also honor Marshall and Doreen Lerner with a Lamplighter Award as well as Alex and Victoria Lazar with the Parents of the Year Award.